Building a charity shop or an antiques shop can bring a lot of interesting roleplay opportunities to your hood. While running a normal shop is quite straightforward and it usually has a certain type of products it offers, charity shops and antique shops can sell anything. The most interesting feature of those shops is that any sim can be a part of the business, they can bring unwanted items from their homes or contribute some of their crafts. I would like to share some of my ideas with you. Let's get started! Firstly, you need to build and decorate a building for your new shop or download one. Essentially, I would suggest that a local charity shop must have some charm and atmosphere in it. For your cash register, I would recommend using either an invisible one and putting a box where the cash register should be or using something similar to this one. However, it also depends on your shop itself. In my hood I play a shop that is owned by an old lady. I decorated it in quite an old-fashioned way, and I use a small box instead of an actual cash register. Your shop could be a part of some famous charity shop branch and it would be more modern. Use your imagination. I also like to use a small seating cafe-like area for those grannies who come to the shop almost every day. I use THIS bread basket to create an impression of a small home-baked goods that my shop owner brings in every day. This particular object has an interesting feature - it charges your sims for plate. However, when a person in need comes in, I offer them food for free. It is also a good idea to use a teapot or a coffee machine. As for the actual goods, I have my sims donate some of their stuff to the shop. You can either use a MOD to enable Buy/Build on community lots or use Give Gift (Seasons). I like using the Give Gift feature as it also increases relationship. My owner also sells some of her pottery along with her famous strawberries. Other sims bring anything they like to donate. You could sell some food, plants, decorations and other items in your shop. I would say that prices should be set to cheap or lower for a charity shop, while prices in your antique shop could vary depending on an item. For example, it could be a simple vase, that would be sold at a cheap price, or, alternatively, it could be an expensive hand-made clock. It all depends on your imagination. Profits from selling goods in your charity shop can go to help any social organisation. For example, you can donate some funds to the local hospital, orphanage, homeless shelter, social centre, school or anything like that. I also have my banks and other organisations help the social system. I use Monique's Computer to donate the money or this object. Sometimes I make my playable sims come to the shop and volunteer in it. I have them clean, serve food and do other things. In my opinion, this is just fantastic. I also make my homeless citizens come and help in the shop and reward them with food or some goods afterwards. Building an antiques shop is very similar to a charity shop, however, I would say it performs less social functions. The only real similarity is donating goods, I make the owner pay for the item. This object is really helpful in making this possible. I really hope you liked this small article and ideas, and it inspires you to create something similar to this. If you have any other nice ideas for running a shop of this kind, please post them below. I would also be very happy to see your shops and read about your own experience. This is a neat idea and one I have not tried yet. Will definitely add it to my list of "things to do"! Very good idea? I never tred that. I know it's a bit off-topic, nothing to do with charity ingame. But a while ago I wanted to create a boarding school with school CC on a residential lot, in order to also create individual rooms, as in a sort of small hotel. However it was hard for me to find some hacked objects, like one keeping children and teens from going to school or college elsewhere in the neighbourhood or being sent to the university with the standard Sims 2 student life. Any idea of such hacks ? I think of inge jones' hacks but I'm not sure if other hacks might conflict with them. Thanks in advance. Thanks for the invitation. I truly doubt that anyone could help me find hacked objects for a boarding school at home on a family lot. I've never heard of anyone having such a project ever. I don't think therefore that anyone could help me more for this on the forum. Plus, I truly have no pics for a WCIF thread, given that again nobody ever had such a project, to my knowledge. I only know that a wall clock is a hacked object for school at home and that otherwise there's something about a school bus being dedicated to home schooling. 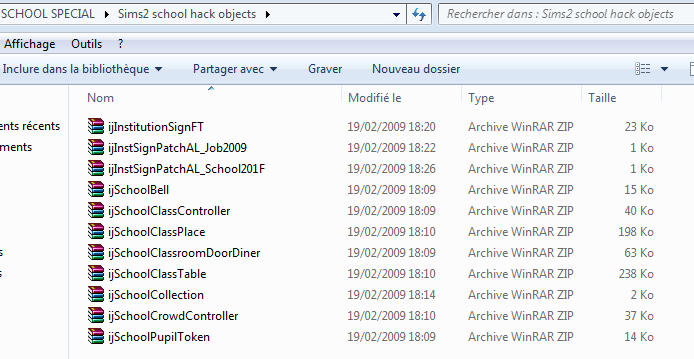 These were hacked objects from around 2007-2009. I created a folder "school special" with a tutorial for orphanage and so on, back in 2010. There are links, hopefully they aren't broken or from dead sites. ij is inge jones (simlogical.com) for anyone else interested. You don't have to have pics for the WCIF, it's just if there are any. @Lizzy Those mods are still up. 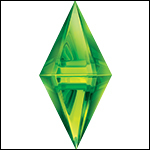 I've just checked at simlogical. It's fine. Thank you. Charity shop idea sounds amazing! I've never done it before but I'm definitely going to try it. It would be interesting to see how it fairs. The volunteering idea is cool too. Maybe have a sewing machine or toy crafting station in a back room in the shop where volunteers can make stuff and then donate them.